Within an extraordinary setting, Will and his friends learn some straightforward lessons in the relatable Will of the Hill. 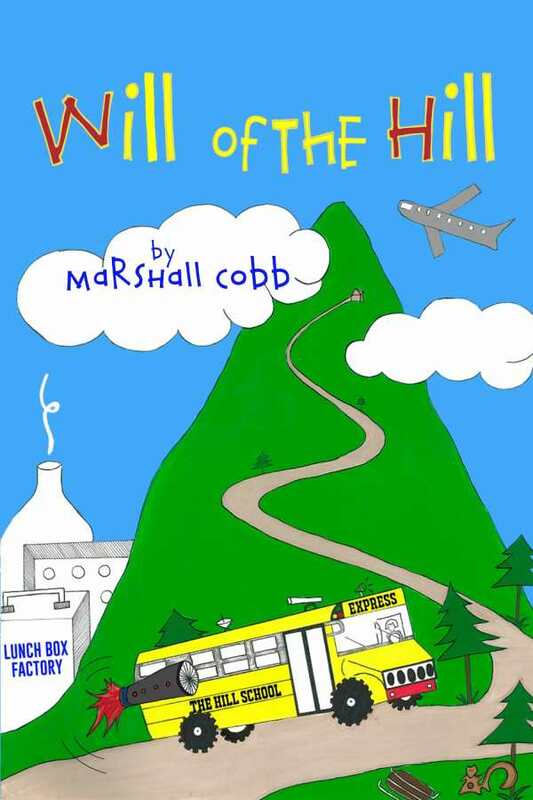 In Marshall Cobb’s lighthearted middle-grade novel Will of the Hill, a young boy faces a familiar dilemma in his far-from-familiar hometown. Will does not like school, his classmate Gertrude, or soap. He does like his best friend Dillon and his comic-book collection, which he and Dillon stash under a hedge at their school. When Gertrude finds their collection, she decides to blackmail the boys, threatening to tell their teacher—unless, of course, Will can convince Dillon to attend Gertrude’s birthday party. The story is set in a small town at the base of a giant mountain, adding creative and interesting elements. The town’s only industry is making lunch boxes. The school is at the top of the mountain and can only be accessed by a bus that has been equipped with rocket engines. The mountaintop is rumored to be home to some unusual animals, including sled-pulling squirrels and a family of yeti. Will’s math teacher, who has a background in history, is convinced that the town, and the school, are part of a government conspiracy. Though the setting has wonderful potential to support an inventive story, the plot is comparatively everyday. Will and his classmates are ordinary schoolchildren; their interactions are fairly typical for prepubescent kids who are discovering an interest in romantic relationships and who want to be liked by their peers. There are friendships and frustrations, and the children get along with one another to varying degrees. Gertrude’s act of blackmail is the central action of the plot and is wholly relatable: she just wants to get her classmates to her party. Will and his friends are imperfectly behaved. Dillon is presented as the attractive, popular boy in his class, but he does not have much of a personality; Will refuses to clean himself or his surroundings, and is generally lazy both at school and at home. Another boy, Frankie, picks his nose continuously. The boys mockingly refer to Gertrude as “Intrude” because she is nosy and tattles. All of these familiar issues are gently addressed in the story, with the adults expressing varying amounts of disapproval and telling Will and his peers what needs to be corrected. Through their everyday mishaps, lessons about keeping secrets, name calling, and treating others with kindness come through.